FIFTEEN days after his brother was struck by a speeding driver and left to die on the side of the road, Shivanand Rampersad is demanding justice. 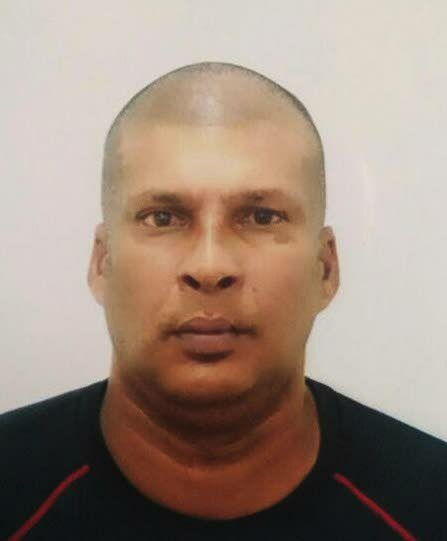 Shivanand’s brother, Roland Rampersad, 47, was riding his bicycle along Rochard Douglas Road, Barrackpore on March 20 when he was hit by a car. The female driver did not stop and Roland, the father of five, died within minutes. He was laid to rest on March 24 after a service at his family’s Mussarap Trace, Barrackpore home. Yesterday, Shivanand told Newsday his family is yet to hear from investigators about his brother’s death. Roland had worked for the past 17 years picking tobacco in Canada and was preparing to travel to Canada again in June when he was killed. “We were visited by her (the driver’s) relatives, who talked to us, but we still don’t know what’s happening with the matter,” Shivanand said. Co-ordinator of the Police Road Safety Project Brent Batson said while he was aware the woman was connected to the accident after leaving the scene, as she had sought treatment at hospital, he does not know where the investigation has reached. Barrackpore police said the woman was interviewed and allowed to leave in the days after the accident. On November 8, 2017, Kimchan Roopnarine and Patricia Ali were struck and killed in a hit-and-run accident. To date, no charges have been brought against the driver in that incident. The couple’s two young sons were separated and sent to live with relatives after their parents’ deaths. Reply to "No justice for hit-and-run victim"